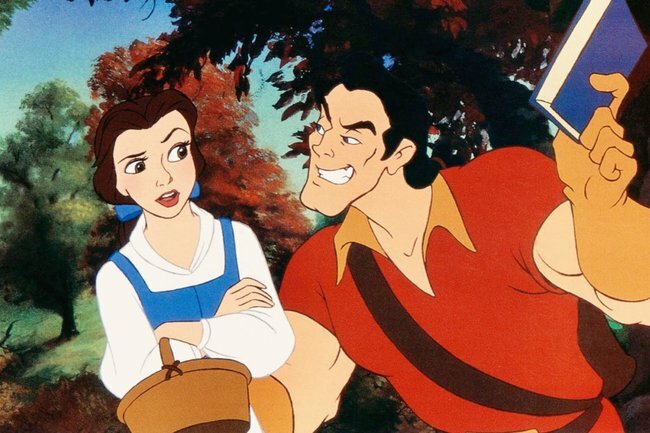 Should Belle have picked Gaston in Beauty and the Beast? Fans say yes. The compelling fan theory that Belle should never have ended up with the Beast. A Twitter user by the name of Dana Schwartz has an opinion on the classic Disney film, Beauty and the Beast, and she’s got an in-depth PowerPoint presentation to prove it. According to the EW correspondent, Schwartz argues that the character Belle should have ended up with Gaston, and not the Beast. How dare her, we know. Now, to any old-school Disney fan this would be purely sacrilegious, and obviously the wrong choice, but we’ll entertain her ridiculous notions. You just might want to brush up on your French history from the years of 1764-94. 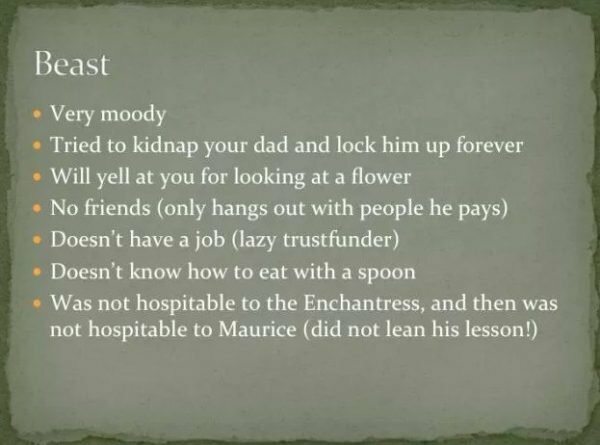 Sharing her argument through a series of PowerPoint slides, Schwartz begins by dissecting both Gaston’s and the Beast’s personality traits, and in our humble opinion, she’s a bit too sympathetic when it comes to portraying the self-obsessed, sometimes-murderous Hunter. Hmm... she&apos;s a bit biased, no? Image: Twitter. We have a few complaints with this. Image: Twitter. She then segues her line of reasoning by aligning the storyline of Beauty and the Beast with the French Revolution. Schwartz estimates the film took place around 1763 which places the narrative 26 years before the French Revolution, in which the French middle class revolted against the royal family and aristocracy, ie the Beast. She then argues that Belle and the Prince would have eventually been taken to the guillotine and beheaded by the town&apos;s people for continuing their life of luxury, while they starved. 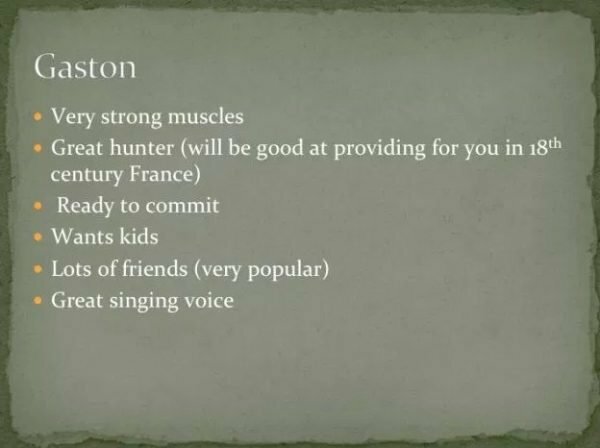 She also states that Gaston would have become a Muscadin (street fighter) during the Revolution and moved up into the lower middle class. It weirdly makes sense, but using her logic, why couldn&apos;t the Prince and Belle have reached out to the townspeople to work out a truce, or in fact, shared their resources so that everyone could have remained happy. We personally think it&apos;s what Belle would have done. It also doesn&apos;t excuse the fact that Gaston is one of Disney&apos;s most unlikeable and arrogant characters, and does not deserve someone as pure, kind and smart as Belle. 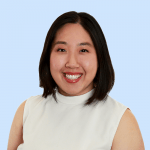 As you can expect, not everybody agreed with Schwartz&apos;s thesis theory and while some people sided with her argument, most called it out for being ludicrous. Doesn’t Gaston try to have her father thrown into an asylum? You&apos;ve convinced me she should have chosen neither of them. I did not realize how Beauty and the Beast (1991) segued into Les Miserables (the 25th Anniversary edition with Alfie Boe because the movie version no one could sing). This is very enlightening. Would do you think of Dana&apos;s theory? Please list your objections and rebuttals in the comments below.